The South African leg of the annual WSL Africa Tour gets underway tomorrow when competitors in the third annual Nelson Mandela Bay Surf Pro take to the waves at the Pipe on Pollock Beach in Port Elizabeth. After the successful launch of the 2019 regional surf tour at the historic inaugural Senegal Surf Pro in West Africa last month, the Nelson Mandela Bay Surf Pro is Stop No. 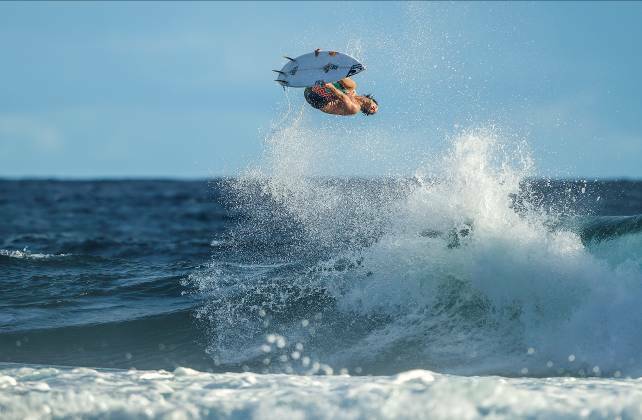 2 on the seven-event tour and runs from Thursday to Saturday, 18-20 April featuring WSL Qualifying Series (QS) 1,000 rated events for Men and Women and JQS1,000 events for Junior Men and Women aged 18-and-under. The annual tour crowns the WSL Africa regional Men’s, Women’s and Junior champions with coveted points earned at the events also counting towards the international QS rankings for the open surfers and towards the selection of the squad to represent Africa at the World Junior Surfing Championships in December. The 2019 tour kicks off with a virtual double-header as the Nelson Mandela Bay event is followed closely by the Royal St Andrews Hotel Port Alfred Classic, 150 kms up the East coast at the mouth of the Kowie River, which runs from Monday to Wednesday, 22-24 April. That is followed by stops in Durban (May), Lamberts Bay on the West Coast and then back to Port Elizabeth (both June) before culminating at Ballito on the KwaDukuza coast of KwaZulu-Natal in July. David van Zyl (Glenashley), the 2018 Nelson Mandela Bay Men’s champion, will be back to defend his title, as will Junior Men’s champ Dillon Hendricks (Cape Town). However, the Women’s and Junior Women’s events will crown new champions this year as Kai Woolf (Jeffreys Bay), who won both titles in 2018, is currently overseas. A solid contingent of international competitors will be participating in the first four events on the SA leg before scores of the world’s best surfers arrive for the Volkswagen SA Open of Surfing in June, where the QS3,000 Women’s event is the highest rated event for females on the continent, and for the QS10,000 Ballito Pro presented by O’Neill which celebrates its 51st edition in July. The Nelson Mandela Bay Surf Pro is also the first of four events in the City Surf Series (CSS) which includes the Royal St Andrews Hotel Port Alfred Classic, the Zigzag Durban Surf Pro and the Volkswagen SA Open of Surfing. Alongside the world-class surfing action, the CSS events also embrace sustainability and transformation programs such as the Surfing South Africa Learn To Surf outreach project in collaboration with Caltex, National Sea Rescue Institute (NSRI) and Ocean Pledge. Ocean Pledge will assist in creating ‘Blue Events,' while the NSRI will be educating members of the public, competitors, local schools and surf outreach programs about ocean safety and ocean awareness. More information, results and images will be available from www.worldsurfleague.com and on the free WSL App and the final day action will be webcast live. West Africa will stage a World Surf League (WSL) competition for the first time when the inaugural Senegal Pro presented by BKS gets underway at Surfers Paradise in Dakar on the westernmost point of the continent starting on Wednesday. Featuring Qualifying Series (QS) 1,500 rated events, this historic contest has attracted entries from a total of 26 women and 41 men from 15 countries and is the first event in the 2019 WSL Africa Series with 19 of the entrants also earning points on the regional rankings, including seven new members from Senegal. Congratulations Joshe Faulkner, February’s winner of the Monster Combo. Joshe’s efforts see him win a custom Channel Islands surfboard, an entry into the final round and a chance to win R20 000 cash + 10 day trip to Sozinhos Lodge in Asu, Indonesia, with Beyrick De Vries and the Zag crew. 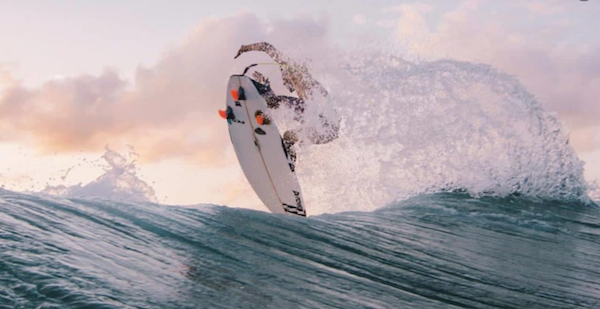 Wez Lewis feeling the good vibes too, banking 1k for his efforts in the water behind the lens.